THE B-MOVIE NEWS VAULT: This October, Blu-ray is the warmest place to hide! 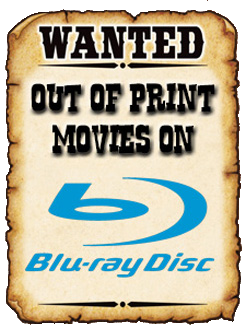 This October, Blu-ray is the warmest place to hide! UPDATE: The original street date of September 20th has been pushed back until October 11th! Glaring audio issues were found in the main audio track, so all of us fans will have to wait just a bit longer to get the best possible release of this Carpenter classic! THE THING is one of my all-time favorite films, so I'm ok with having to buy it again. (I've previously owned it on VHS, DVD, and currently own the Universal Blu-ray.) But now it's time to upgrade again to the last THING release (you and) I will ever need! Film Synopsis: In the winter of 1982, a twelve-man research team at a remote Antarctic research station discovers an alien buried in the snow for over 100,000 years. Soon unfrozen, the form-changing alien wreaks havoc, creates terror and takes on the appearance of those it kills. Paranoia strikes deep, and the stakes are high as the military personnel attempt to flush out the creature and kill it before it can assimilate them all. If they fail, "this Thing" could possibly make its way to civilization, where it could wipe out all of humanity in mere months! 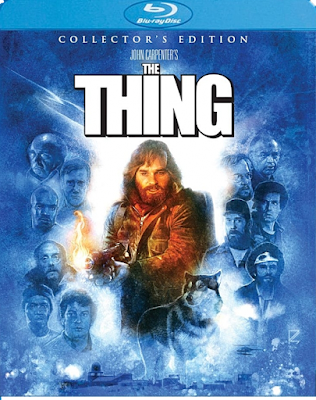 Directed by Carpenter, THE THING stars Kurt Russell (ESCAPE FROM NEW YORK, BIG TROUBLE IN LITTLE CHINA) and features special visual effects by Albert Whitlock (DUNE) and special makeup effects by Rob Bottin (THE HOWLING, FIGHT CLUB). NEW 2K scan of the Inter-positive supervised and approved by director of photography Dean Cundey! NEW 5.1 created from the original 70MM Six Track Dolby Stereo soundtrack. NEW Audio Commentary with director of photography Dean Cundey. NEW The Men of Outpost 31 - Interviews with Keith David, Thomas Waites, Peter Maloney and more! NEW Assembling and Assimilation – An interview with editor Todd Ramsay. NEW Behind the Chameleon – interviews with visual effects artists Peter Kuran and Susan Turner, special make-up effects artists Rob Burman and Brian Wade, and more! NEW Sounds from the Cold – interviews with supervising sound editor David Lewis Yewdall and special sound effects designer Alan Howarth. NEW Between the Lines – an interview with novelization author Alan Dean Foster. Audio Commentary by director John Carpenter and actor Kurt Russell. A new HD transfer?! A newly created 5.1 audio track?!! The Network TV Edit of the film?!?! And supposedly, there may be even MORE extras piled on before September draws near! Clearly this is the last release of this film any of us will ever need, so naturally you'll want to order your copy ASAP. However, all is not lost for you can still order the regular Collector's Edition directly from Shout! Factory, and get it two weeks early with an 18 x 24 poster of the new key artwork! And for those of you who aren't in a rush to get your paws on this Blu-ray (HA! ), you can always order a copy from AMAZON.COM! Regardless, order your copy of THE THING: COLLECTOR'S EDITION and then start counting down to OCTOBER 11TH (or September 20th if you ordered the Deluxe Edition from Shout! Factory, or September 27th if you ordered the standard Collector's Edition)!